Champions are built in the off-season! Updated Monday July 30, 2018 by Franklin Little League. Franklin Little League is excited to offer Baseball and Softball Clinics in place of the traditional Fall Ball we have previously hosted. 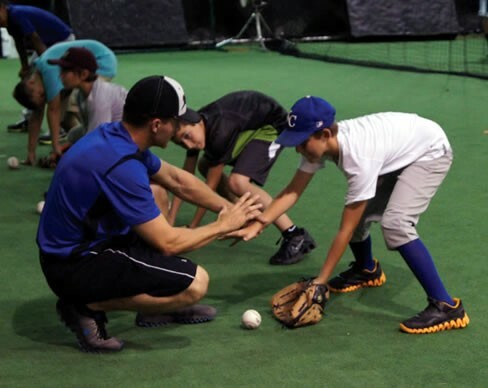 These two-hour clinics will provide a great opportunity to focus on baseball and softball fundamentals in one-on-one and small group settings. Clinics will held at the FLL Complex from 1:00pm to 3:00pm every Sunday, beginning August 19 through September 30, with a break for the Labor Day weekend on September 2. Rainout dates of October 7 and October 14 are also planned, should they be needed. The cost of the clinics is $75.00 and FLL will provide a hat and jersey for all participants. This year’s clinics are available to all incoming Tee-Ball through Senior Division baseball and softball players. FLL is partnering with Franklin High School's baseball and softball teams and will have players available to assist with direction. Take advantage of this opportunity to have your player learn from athletes closely involved in the game! Additionally, Franklin Little League can always use more parent volunteers. If you are interested in assisting with the clinics, please register online as a coach. There will be a coaches' meeting prior to the start of the clinics to go over the program plan and skill drills to be used. Clinic registration is open online until the 2018 FLL Picnic and Awards (August 12). Simply CLICK HERE to begin the registration process. Don't forget -- you can also register for next year's regular season at this year's prices by August 12 too! Prices for the 2019 season are expected to increase when registration is reopened in the Fall of 2018.